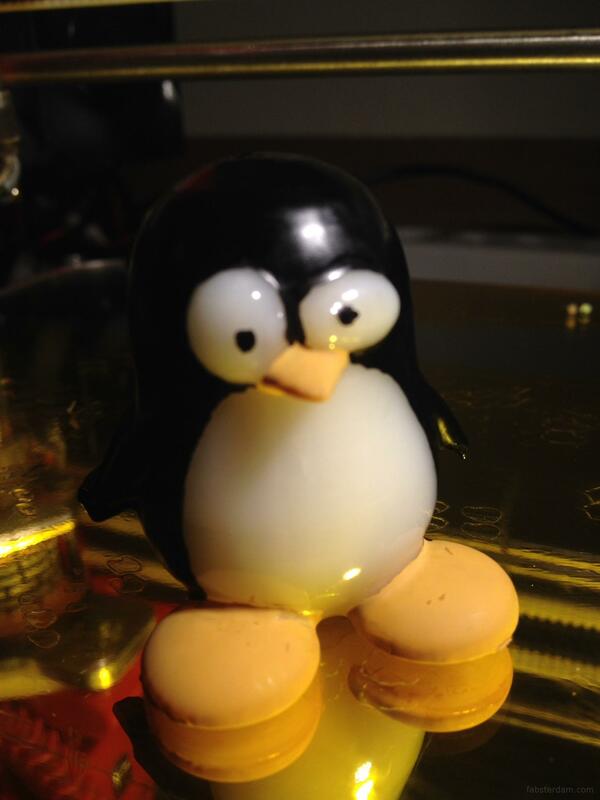 Remember Tux, the Linux mascot that was the victim of our first acetone vapor treatment experiment? 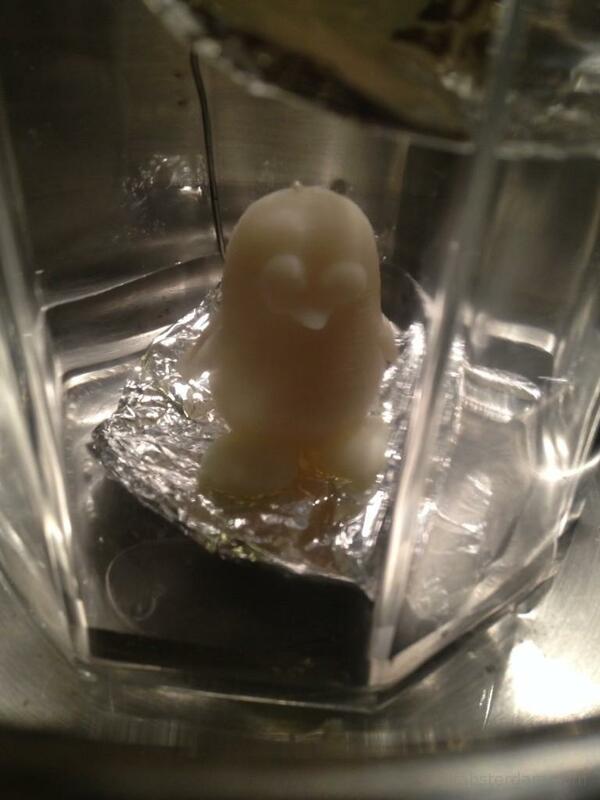 We decided to give him another chance because the model looked like the perfect candidate for smoothing. This is the raw ABS print with a layer height of 0.2 mm. We wanted to print this a little faster so we didn’t use our usual 0.1 mm. Since we were going to smooth this print anyway, the thicker layers didn’t matter that much. Tux getting ready for his bath. There is just a bit (1 mm) of acetone in the jar; once that started to evaporate we needed less than two minutes to get everything smoothed. 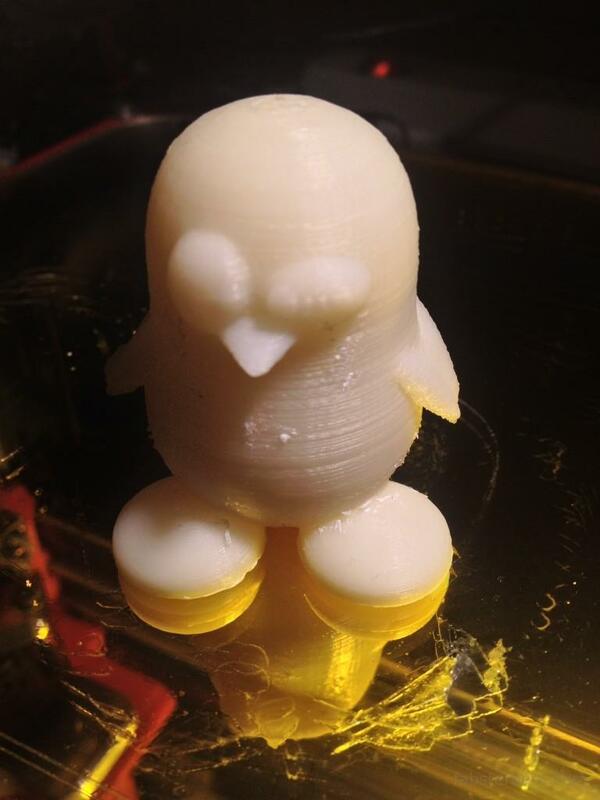 The result: no more layers are visible, Tux is perfectly smooth. We also discovered that acetone vapor treatment is the perfect primer for standard enamel modelling paint (those little cans that are sold in toy stores). 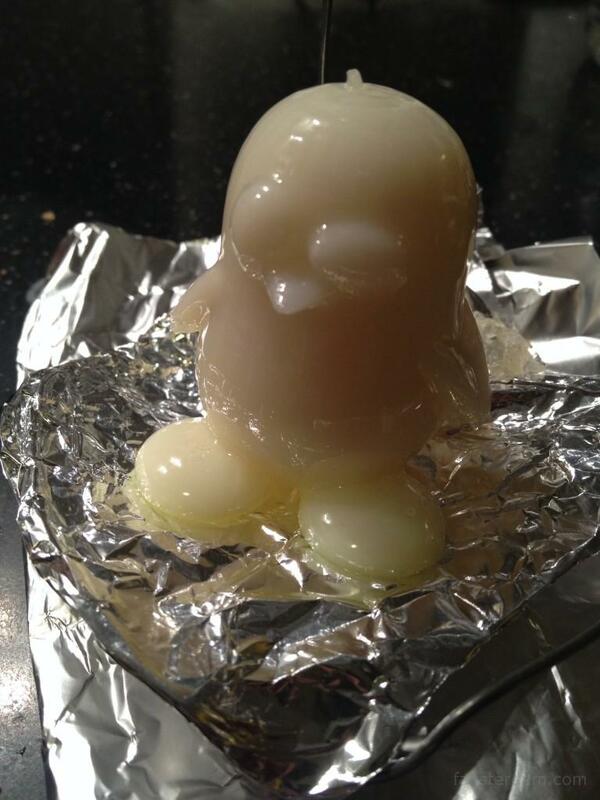 We only needed one layer to get a nice coat (okay, the feet need a touch-up). The white isn’t painted, although the ABS is so smooth, it looks like it was varnished.